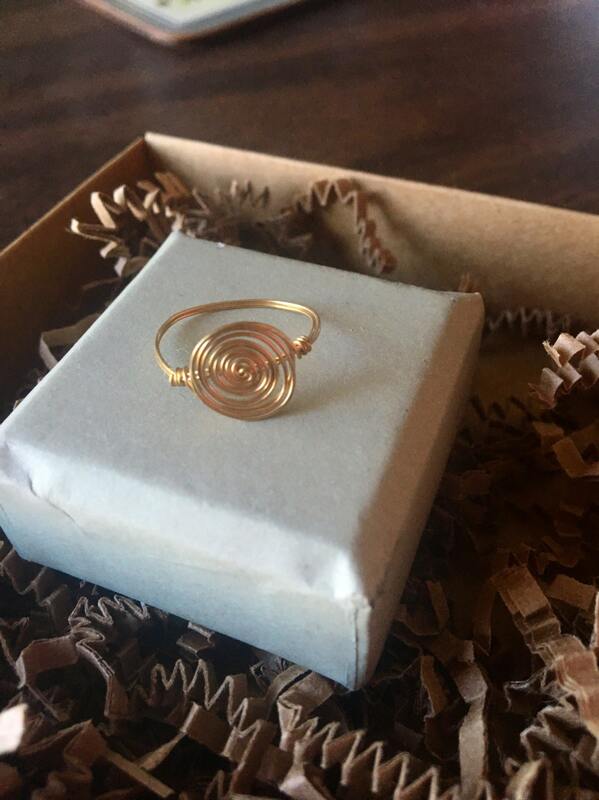 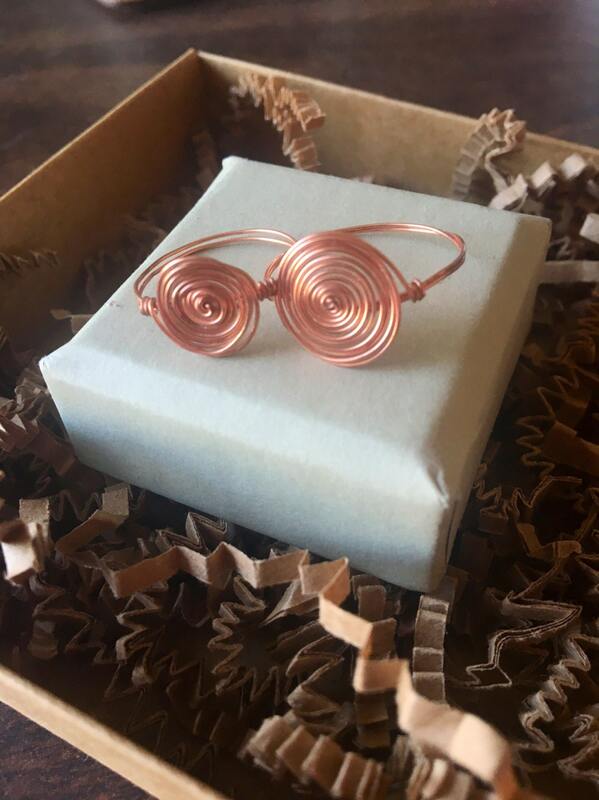 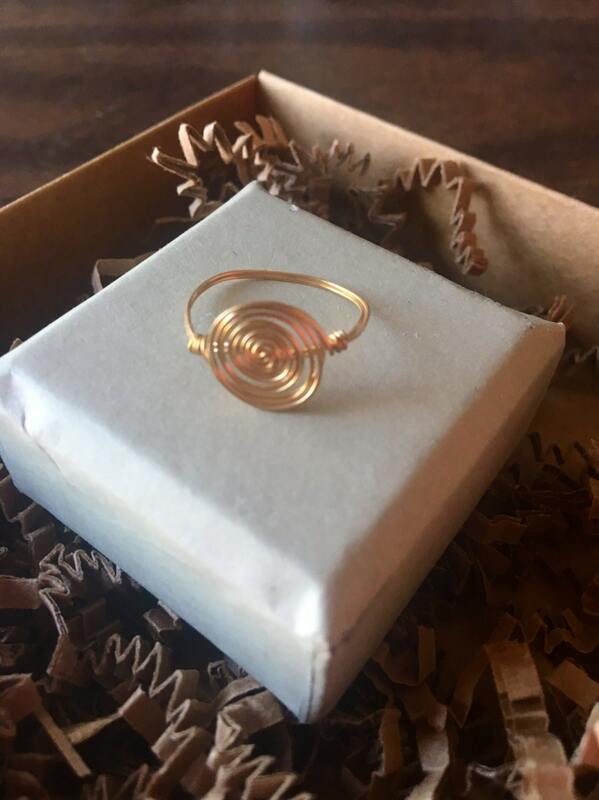 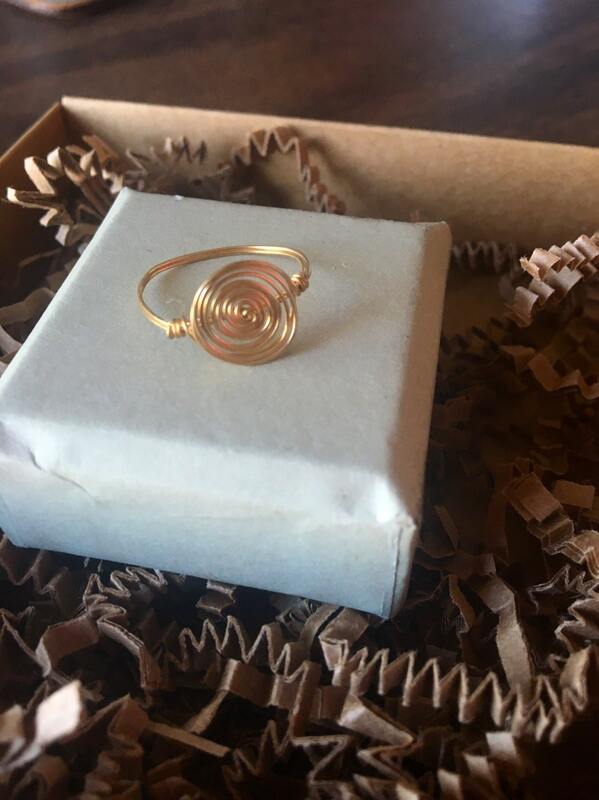 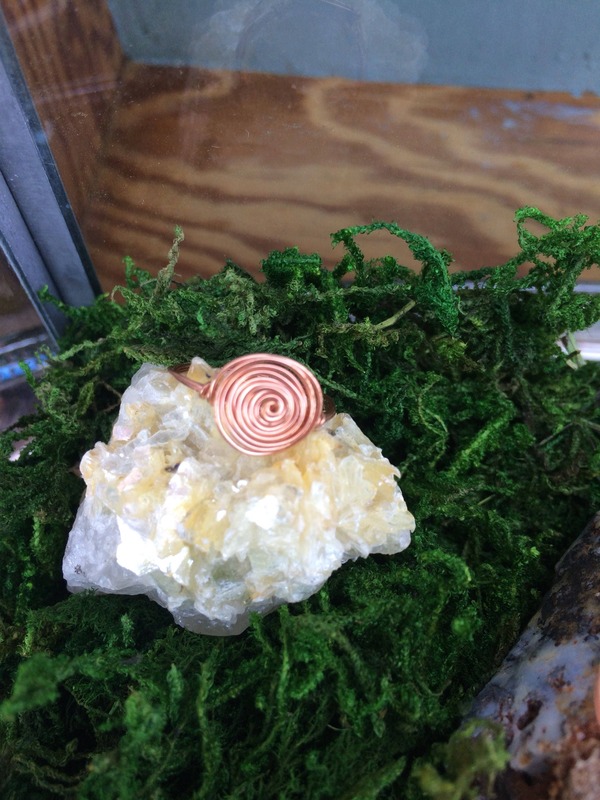 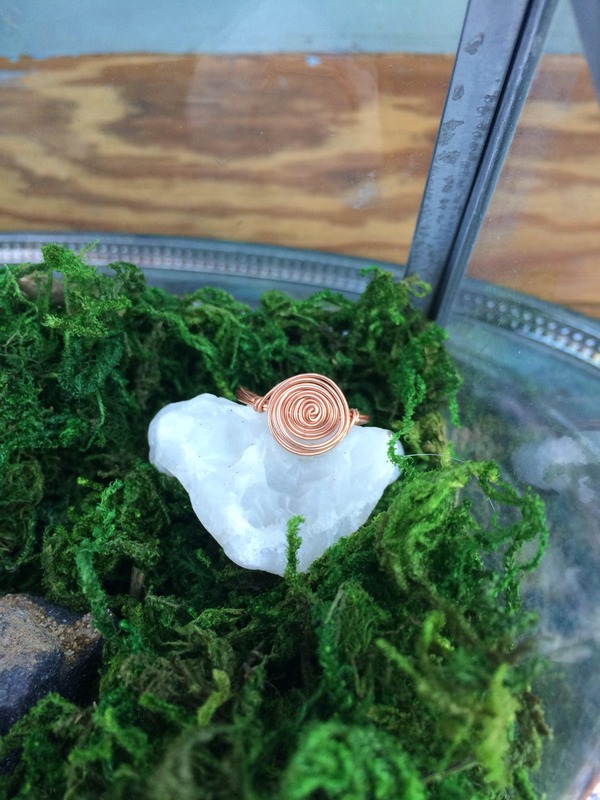 Copper or gold plated wire carefully wrapped to your specified ring size. 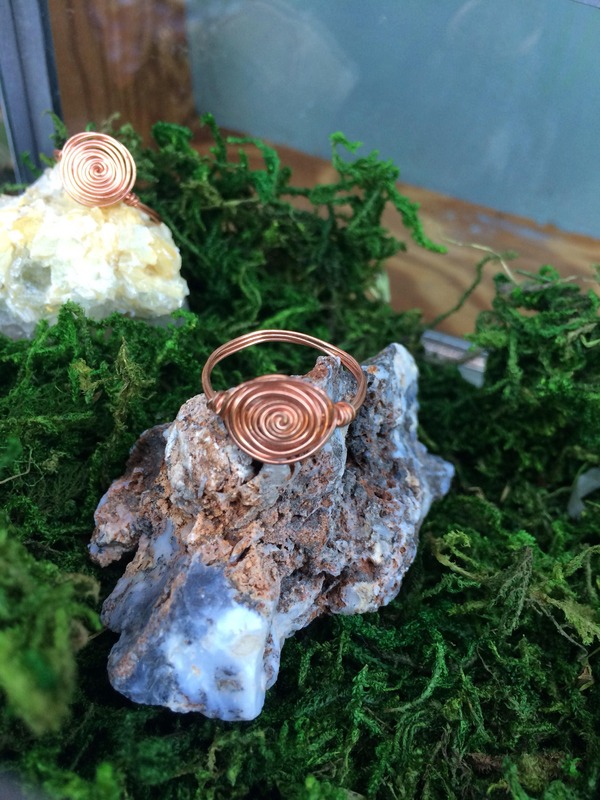 Shaped to be an infinity Wire rose, although simple very elegant and comfortable. 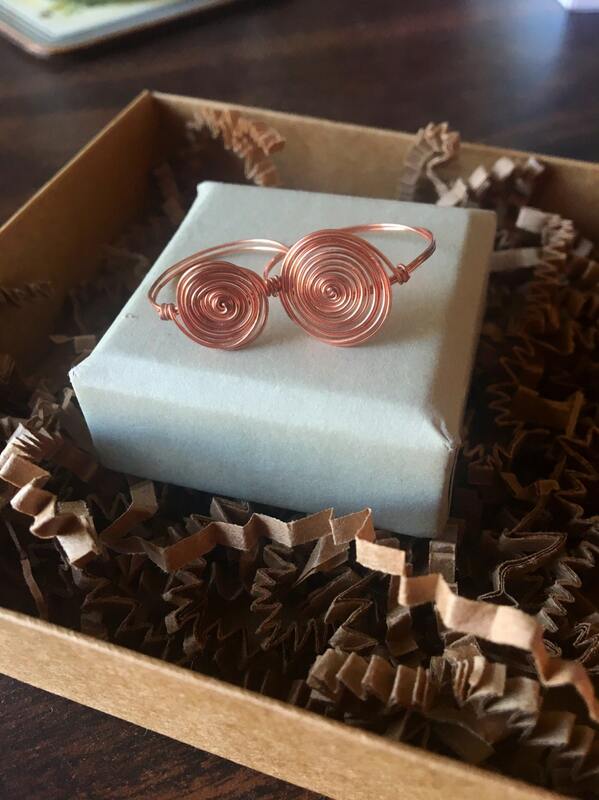 Made with nontarnishable and hypoallergenic wire to ensure the comfort of everyone.